I went to visit my bank today, HSBC. 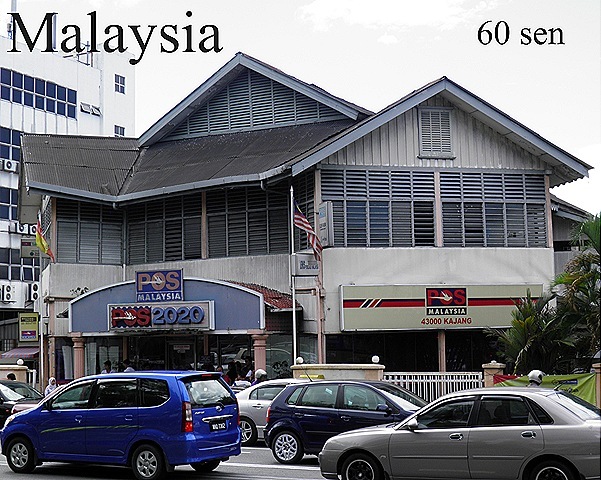 The closest branch is in Kajang about 30 minutes drive from where I live (the world’s local bank is sometimes not local enough). Afterwards I thought I would take some time to look around the scruffy town centre. 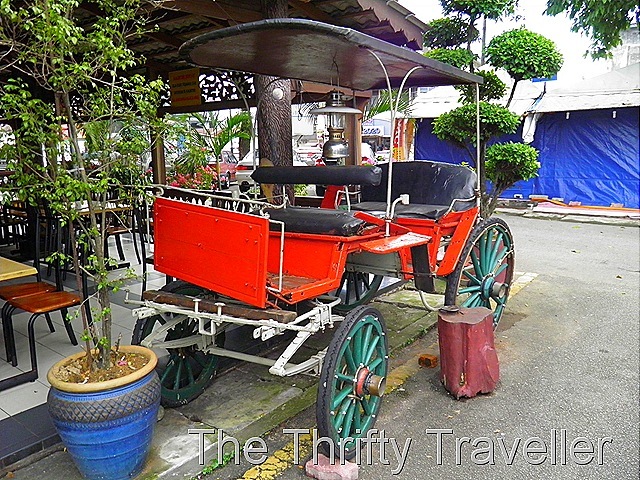 It is fair to say that Kajang is well and truly off the beaten track for tourists. 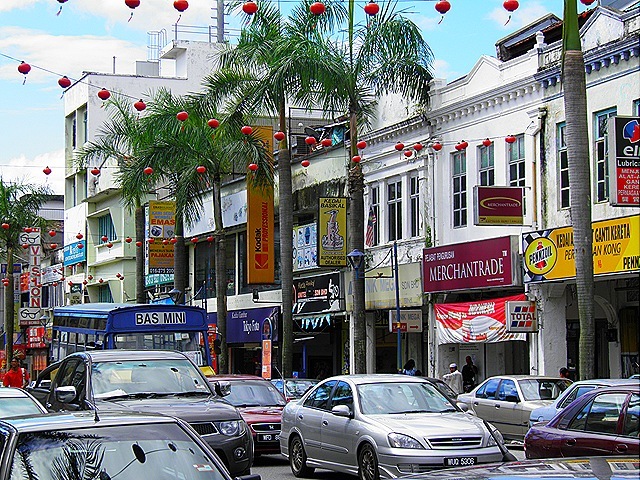 It is an old place with settlement said to have begun in the early 1700s which makes it about 150 years older than Kuala Lumpur. It is also quite sprawling with a large population of around 300,000 having grown rapidly in recent years. The centre though still retains a small town feel except for the appalling traffic. Among the food-mad Malaysians, Kajang is famous for one thing only and that is satay (sate), the barbecued meat sticks served with spicy peanut sauce. According to some, Kajang is the satay capital of the world, although Indonesians might disagree. 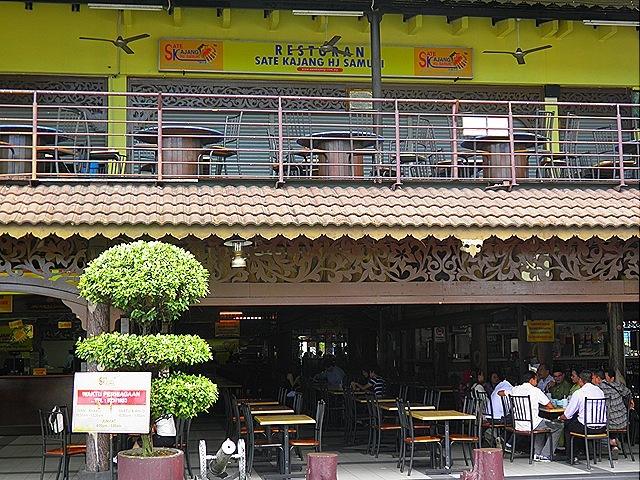 One of the best known satay restaurants is this place, Haji Samuri’s (looking a bit quiet at 11am). Opposite is the old post office building appearing in the postage stamp above. 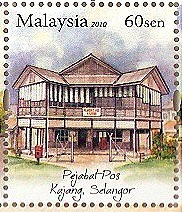 My home-made version of the stamp using the real life building does not look so attractive! Next time I go to the bank I shall try and see a bit more of this town.